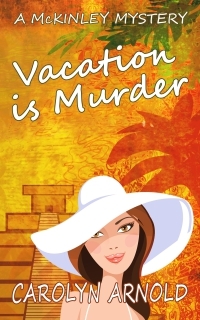 There's only so much relaxation two former detectives can handle—even if they're on their honeymoon. With their recent fall into money, Sean and Sara McKinley should be living it up, enjoying the sun and beaches of Cancun. But heading into their third week they've had just about enough lying around. When the husband of a couple they've befriended is kidnapped and held for ransom, they set out in the unfamiliar landscape of paradise, risking their lives to stop a killer.